Meet Mackenzie. 16 months old, loves dogs, stuffed bears, the outdoors and blueberries. On Saturday mornings you’ll find her elbow deep in buckwheat pancakes and blueberry sauce made lovingly by her Mom. Having a little one around proved very helpful last week as I began to brainstorm for my post. I knew just where I’d start my search – Mackenzie’s book collection. 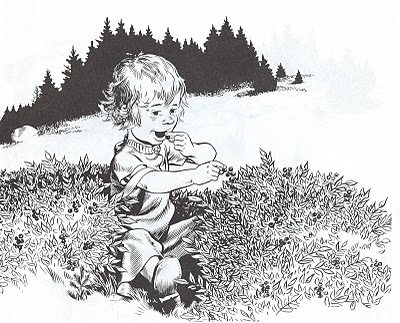 There were goodnight moons, nursery rhymes, and hungry caterpillars but I noticed one was missing – Blueberries for Sal by Robert McCloskey. An absolute classic! She must have this book, I thought to myself, and being the good Aunt that I am, I rushed out to get it for her. 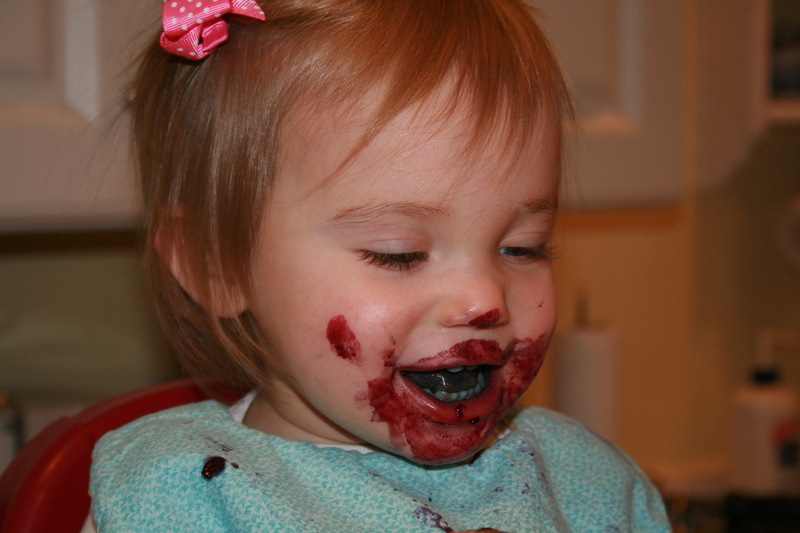 Just like our little Mackenzie, Sal loves blueberries. 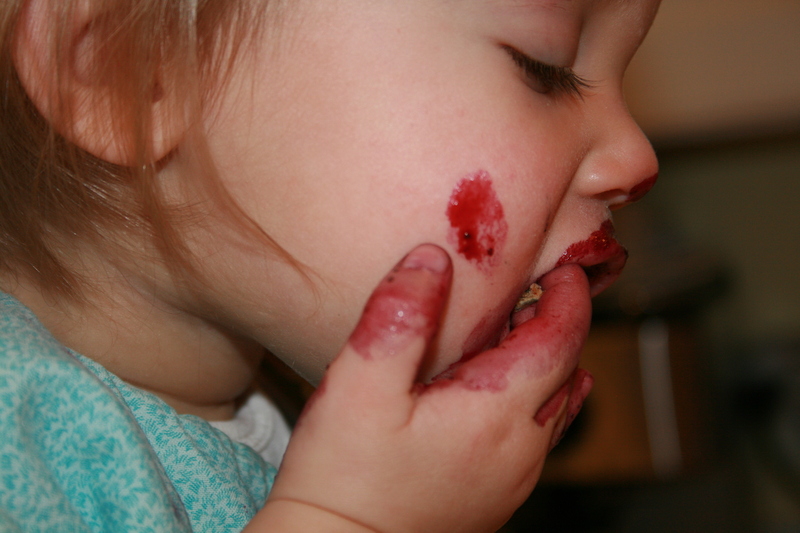 While helping her Mother pick blueberries for jam more berries seem to make it in her mouth, than her pail. 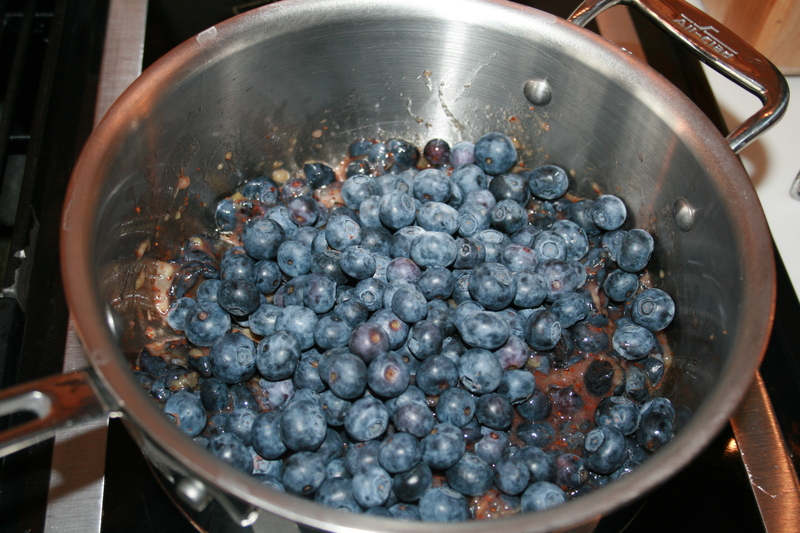 Channeling Sal and her Mother, I set off to make my own blueberry jam. Seeing that it’s not blueberry season here in the States my berries came from Chile, not Blueberry Hill, but no matter. This tasty combination of lemon and blueberry would no doubt have made Sal’s Mother proud. 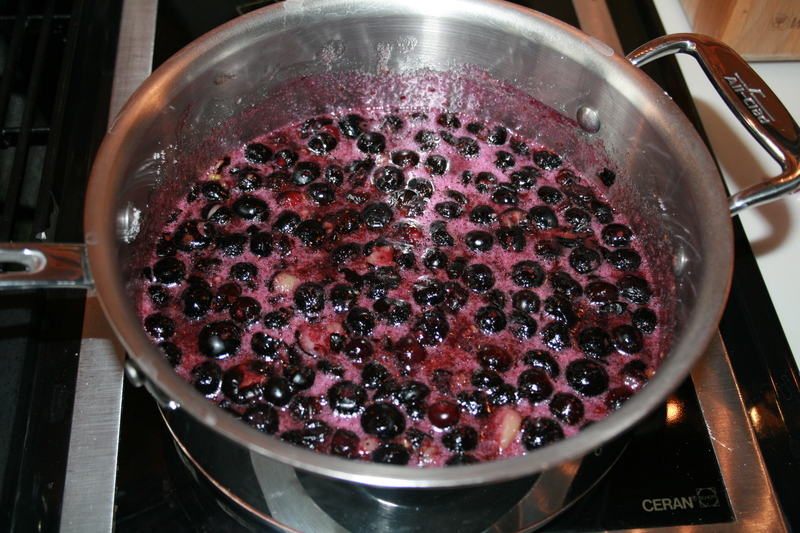 In a large saucepan crush half of the blueberries. Add the remaining berries, sugar and zest. Mix well and bring the mixture to a boil, stirring constantly. Remove from heat, stir in the lemon gelatin until it’s completely dissolved, place in jars and refrigerate. 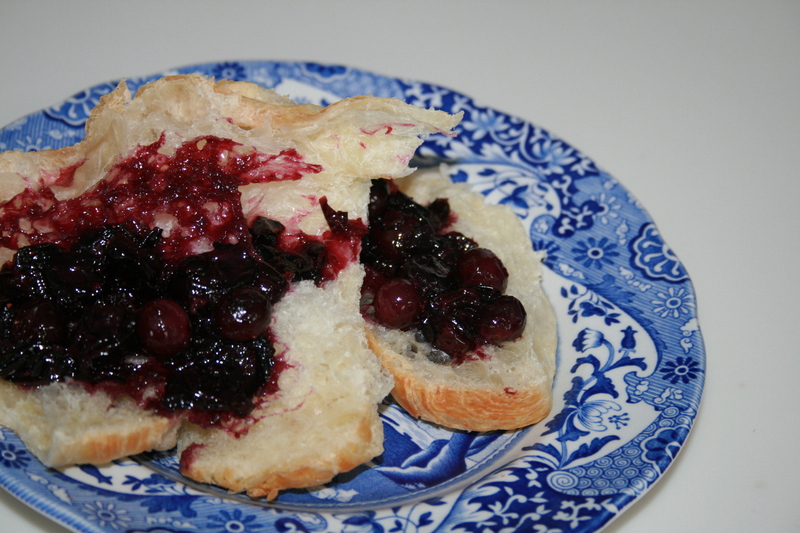 This entry was posted in Fictional Food and tagged Blueberries for Sal, blueberry, easy, gelatin, jam, lemon, quick. Bookmark the permalink. Little Mackenzie looks positively delicious! Great post Ames! Cutest kid I’ve ever seen. Clearly some solid Aunts and Uncles. And blueberries. Good blueberries.